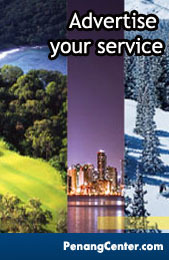 Penang Center is Penang-based portal designed to provide an easy solution to your everyday services. It is dedicated to serve clients to solve their everyday problems. Servicing your everyday needs. Just 3 simple steps to advertise your services today. Premier Service allows our clients to upgrade their advertisement with more features to reach out to more audience. Contact us for more details. It's all about delivering the best services in Penang to you. Penang Center helps you to connect your business to others and provide the most reliable and fastest services in Penang. Join us today and advertise for free or upgrade to Premier Service to reach out to more audience.